News - Welcome on Euro Works Consulting! "Assessing the socio-economic impacts of Terrorist Threats or Attacks following the Close down of public transportation Systems"
The Final Conference of the ATTACS Project is going to be the place where its results are presented to the stakeholders' community. The event will be hosted by the Italian Ministry of Infrastructure and Transport, which is also directly involved as end-user of the project (http://attacs.eu/expert-users.html). The meeting is seen with great interest from Euro Works Consulting because of the relationship with the ATTACS European project, which is developing important solutions for the critical infrastructure protection issues in urban areas. 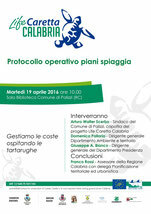 On Wednesday, December 16th, 2015 at the Public Library of the Municipality of Palizzi (Reggio Calabria), Via Nazionale 69, will be held the public meeting organized by the project "Caretta Calabria" under the LIFE + dedicated to conservation of the Caretta caretta sea turtle. The meeting will present the objectives and outcomes obtained at the middle of the project within the project for the conservation of sea turtles in the Ionian coast of Calabria. First Forum: the role of the fisheries sector for the development of coastal areas, marine nature conservation and tourism development. Second Forum: technical aspects of coastal zone management and the importance of the restoration of dune environments for the protection of habitats and species. Third Forum: local governments for the governance of coastal and biodiversity conservation. 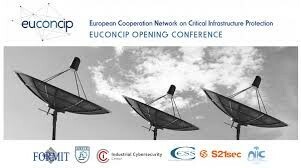 Euroworks, as a partner of ATTACS project, participated in the first training workshop organized by EUCONCIP (European Cooperation Network on Critical Infrastructure Protection) called "Critical Infrastructure Protection - Common threats, risks and vulnerabilities. Resilience and countermeasures". 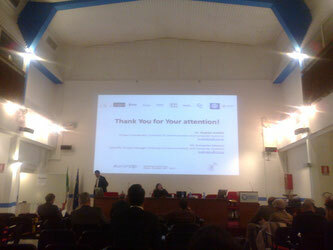 During the event, held in Rome last October 20th, 2015 at the Unint - University of International Studies of Rome, were presented, as well as ATTACS, sixteen other projects aimed at the protection of critical infrastructure and participating in the network created by EUCONCIP with the aim to strengthen cross-sectoral and trans-national cooperation and promote the exchange and sharing of knowledge and best practices between experts, researchers, private organizations and government agencies. Upcoming meetings will be organized in Bucharest, Romania, on 5 and 6 November 2015. For more information on programming of the events you can see, the EUCONCIP website, which contains available documents, materials, newsletters and information on the activities organized by the network. 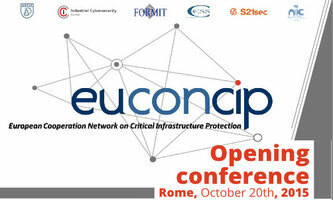 Euro Works Consulting will attend the EUCONCIP Opening Conference (European Cooperation Network on Critical Infrastructure Protection), to be held in Rome on 20 October 2015 in the premises of the University of International Studies in Rome. The conference focused on CIP (Critical Infrastructure Protection) aims to share experiences and information about ongoing European projects funded under the CIPS European programme (DG Home Affairs), related to critical infrastructure protection (CIP). The event represent a unique networking opportunity in Europe also to get in touch with end-​users and stake­hold­ers of the CIP field. Prepared by the ATTACS Project the first draft of causal loop diagram for transport systems. It was held in Rome Session of the Group for the construction of the model GMB (Group Model Building) under the European project ATTACS. A session of GMB was held in Rome on June 9, 2015. 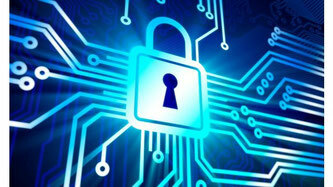 It is a support for stakeholders working with a modeling team to solve a problem targeted in a complex system. The session was attended by international experts on the protection of critical infrastructure and experts on methodology of information. There were also representatives of public and private entities related to transportation systems which also represent the "end-users" of the ATTACS project. The meeting produced the validation of the first draft of CLD (Casual Loop Diagram) to identify the economic impacts as a result of a terrorist attack and the validation and improvement of the current map. 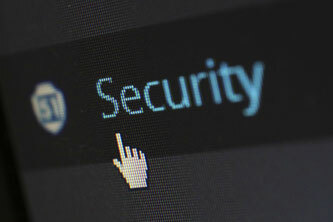 On the subject of transport it is centered ATTACS project which aims the creation of a Decision Support System tool (DSS) for the protection of the transport sector. The tool will allow the transport operators and authorities to assess the economic and social impacts of a forced closure of a part (or all) of a transport system. 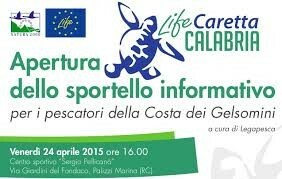 Life Programme - Caretta Calabria project: it is opened a new Info Desk at the "Costa dei Gelsomini (Calabria Region) with the aim of encouraging the participation of fishermen and other stakeholders for the conservation of the most important populations of sea turtle Caretta caretta nesting in Italy, along the Ionian coast of Calabria.